AC-225IP is suitable for applications with up to 30000 users across a modular 4092 doors, allowing maximum flexibility for securing a growing enterprise. 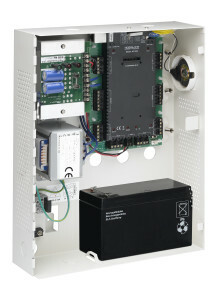 Each AC-225IP Access Control Unit (ACU) supports two readers (In/Out) of various formats including standard Wiegand 26-bit. Installations can also have one reader per door. The AC-225IP is ready for installation with a mountable & lockable metal enclosure integrated with transformer, power supply/charger, sounder and control board. Using RS-232, Ethernet TCP/IP, or PSTN communication the AC-225IP supports multiple local or remote site door sub-networks that can connect to the AS-525 AxTrax™ Client/Server PC software running on Microsoft®Windows® 98/ME & NT/2000/XP/Vista/7 operating systems. Rosslare’s AY-KR12B is a powerful RFID proximity card reader of 125 KHz cards and tags, featuring Wiegand 26-Bit output format and a read range of up to 80mm (3.15 inches). With a miniature, sleek design and a tough, UV and water-resistant casing, the AY-KR12B is equally suited to indoor and outdoor use, and is both economical and reliable. The AY-KR12B is certified for compliance with all leading International Safety and Access Control standards. Excellent RFID card read range up to 80 mm (3.15″). Wide range operating voltage: 5 to 16 VDC. 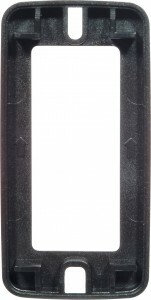 60 cm (23.6″) shielded interface cable. Backed by Rosslare’s International Guarantee and service with ISO9001 (Certified TUV Rhineland) level business and manufacturing operations. RF Modulation: ASK at 125 kHz. Water-resistant with epoxy potting (IP65) suitable for indoor and outdoor applications. Made of tough polycarbonate UV-resistant plastic. Comes with mounting template for easier installation. Rosslare’s AxTraxNG™ is a complete Server-Client software management system enabling management of modular networked Access Control panels. 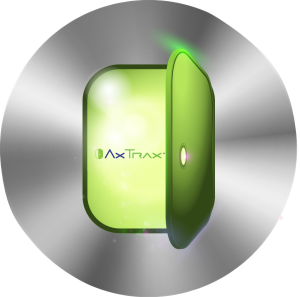 The AxTraxNG™ management software is user-friendly, intuitive, reliable, and rich in functionality. Using the cutting-edge development platform, you can integrate and deploy various security and time & attendance applications with ease. 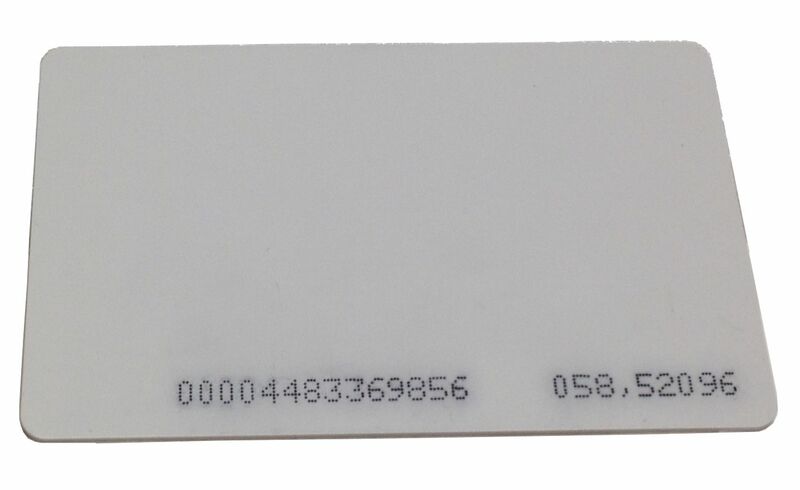 This is a credit-card sized credential with RFID electronics built inside the card, including an integrated circuit and an antenna inside that can be printed for human-readable information using standard ISO card printers, which can be machine read using very low power wireless communications. Having no power of its own, it can be read by card readers when it passes through the electromagnetic field produced in the proximity of the reader. The range depends on the antenna and field generated by the reader, so the card will have different read-ranges. 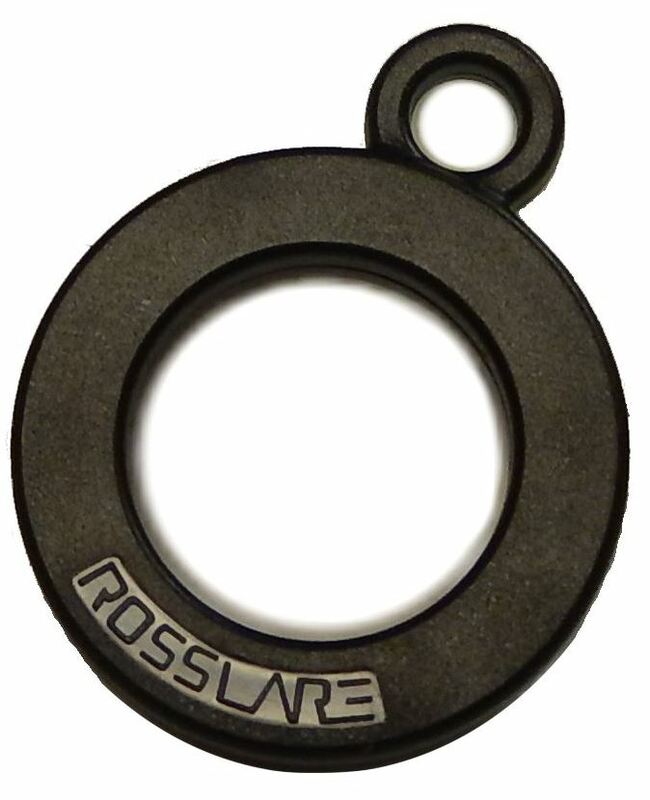 Rosslare’s proximity credential tags are highly compact and sleek in their design. The new tags are available for use with 125 kHz RFID reader technologies, and are available with optional printed id. Having no power of their own, they can be read by card readers when they penetrate the electromagnetic field produced in the proximity of the reader. The range depends on the antenna and field generated by the reader, so the tags will have different read-ranges with various readers. Click the button below to add the Rosslare Two Doors TCP/IP Access Control Kit with 50 Credentials AC-K07U to your wish list.